BRUSSELS — From the start of the torturous negotiations over Brexit, as Britain’s exit from the European Union is known, the talks have followed an all too familiar dynamic. The Europeans set the agenda; the British push for concessions or special deals, while trying to work out among themselves what they really want. The Europeans say no, sticking to a pretty hard line. But now, with 85 percent of a deal completed, and the toughest issues remaining, European officials say they are increasingly worried that Prime Minister Theresa May’s government is so divided and fragile that it could collapse, scuttling a deal and inflicting damage on the Continental economy. So the Europeans are now exploring ways to finesse their position, three senior European officials say, to sign a withdrawal agreement by the end of the year so it can be ratified by the end of March, when Brexit occurs regardless. That would formally divorce Britain from the bloc after more than 40 years of marriage. But some of the hardest issues would be left for transition talks that will last another 19 months, until the end of 2020. All of the officials spoke anonymously, following diplomatic practice, and because they do not have permission to be quoted by name. The aim is to reduce internal British political warfare over how to best keep the promise of no hard border between Ireland, which will remain in the European Union, and Northern Ireland, which will not. The new British Foreign Secretary, Jeremy Hunt, has been traveling through northern Europe, lobbying for Britain’s position, warning of a chaotic no deal Brexit, and urging “a change in approach” by Brussels. The British and European Union negotiators will meet again on Thursday and Friday, an unusual mid-vacation session. A big sticking point is how to oversee disputes between Britain and the bloc, since Mrs. May, pushed by fervent Brexiteers, does not want to give the European Court of Justice, the bloc’s highest court, any authority over Britain once it leaves the European Union. But the thorniest issue is the nature of the border between Ireland and Northern Ireland, because its status hinges on some understanding of the future trading relationship between Britain and the bloc, which remains up in the air. European officials said that the Chequers statement at least clarified for the first time what Britain wants, even if they rejected her customs proposal out of hand. What was objectionable, they say, is that Britain talks of wanting an “economic partnership” with the bloc that is akin to being part of the single market for goods alone. The Europeans have been clear that Britain cannot keep what it had as a member without the obligations of membership, in particular the free movement of goods, as well as capital, services and labor. Nor can it be in a formal customs union if it wishes to make its own trading deals, as Mrs. May continues to insist. Britain has failed to understand, the Europeans say, how much the European Union itself feels threatened by the world since the Brexit referendum — by the challenges of President Trump, Russia and China, as well as the rise of authoritarian leaders in Hungary and Poland and populists in general who are largely anti-Brussels, as are those in Italy. So there is even less willingness now to compromise on key European Union principles, and a desire, especially from France, to make it clear that membership in the bloc has privileges not shared by other countries. 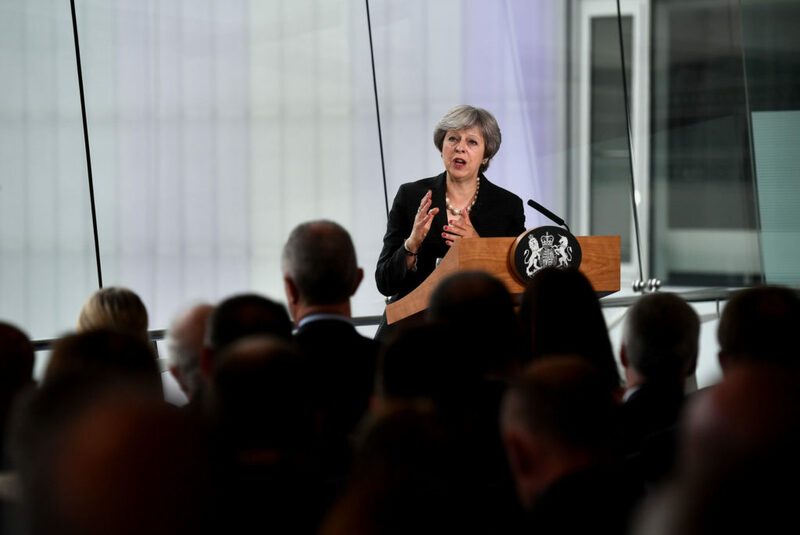 There is also a growing weariness with Britain and Mrs. May, who seems to be arguing that she is politically so weak that she cannot talk honestly with her own citizens about what Brexit actually means. That understanding finally seems to be coming home to the British, the Europeans feel, but they are reluctant to specify the consequences, for fear of hurting Mrs. May and creating a new political crisis in Britain that would throw the whole Brexit process into chaos. So the Europeans are discussing vague language about a future relationship, hoping that will be enough to make Britain accept the need for a backstop to ensure there is no hard or visible border on the island of Ireland. European officials are also searching for compromise. If a formal customs union is impossible, European officials say one solution might be a future free-trade agreement with the European Union, much as Canada and Japan now have, but one that could allow the unencumbered movement of goods across the British (and Irish) borders. But there is no guarantee that such a free-trade deal will be quick or easy. Normally such agreements take years to negotiate. There is also discussion of limiting the jurisdiction of the European Court of Justice and European Union customs officials over Northern Ireland as part of the “backstop” deal, which Ireland (with the support of Brussels) has insisted be written into the withdrawal agreement. If Britain and Brussels cannot work out their future trading relationship in time, the backstop would essentially establish a border between the entire island of Ireland and the rest of Britain for customs, regulatory standards and value-added tax. They also say they would be willing to extend the “transition” period to negotiate a new relationship with Britain past December 2020, its current end date. But a specific clause to that effect, with a time limit, must be included in the withdrawal agreement. The problem for Britain is that any extension would mean additional payments into the European Union budget and a continuation of “rule taking” without a vote, which would outrage Brexiteers. What many European officials fear is less a cliff-edge Brexit next March than one at the end of 2020, if a final free-trade deal is not completed. To negotiate a special free-trade deal with Britain that avoids a hard border in Ireland, plus a possible second agreement on security, would ordinarily take years. But the Brexit withdrawal agreement comes first, and the remaining issues are difficult. At least now though, European officials say, the talks, at long last, can get more serious.